Three strand graduated beaded necklace. 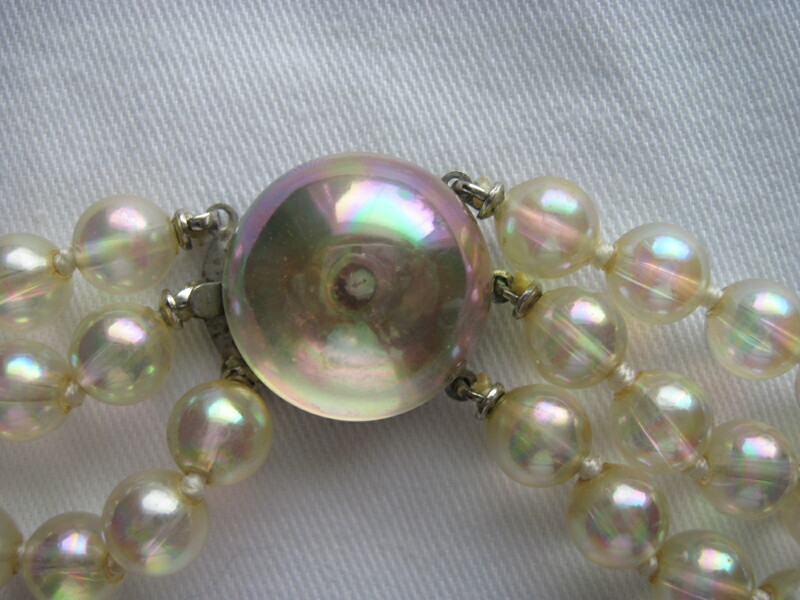 The beads are called ‘Balls of Fire’, manufactured by Richelieu in the 1950’s. 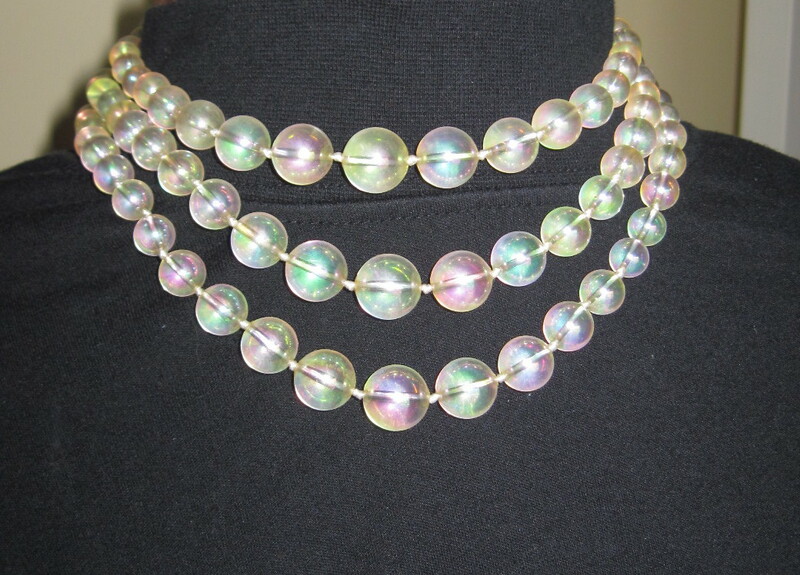 The beads are some kind of synthetic material, not glass, but they have a wonderful glow to them. 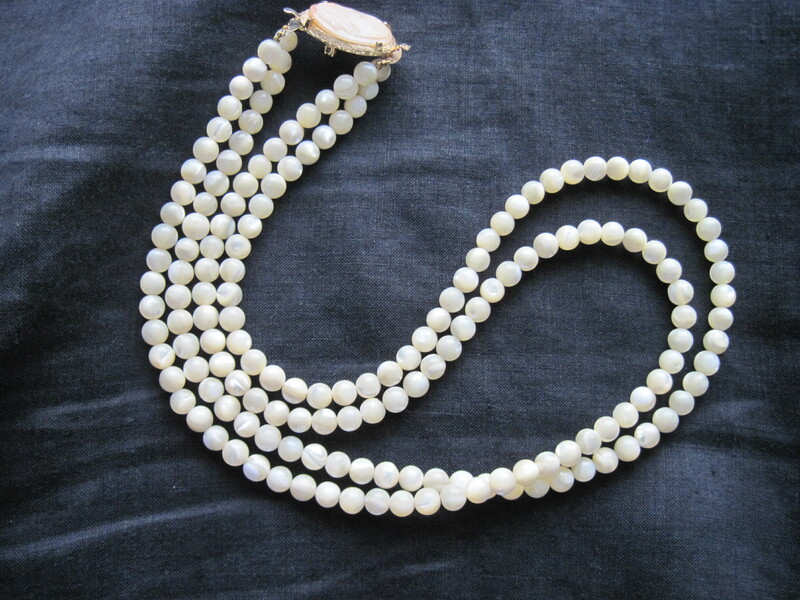 Hand knotted between each bead. 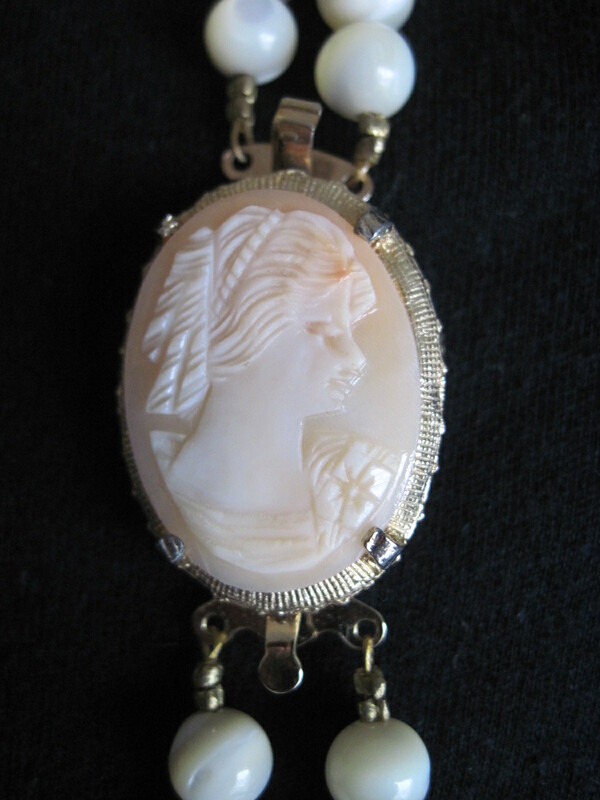 The clasp has a cabochon style bead affixed to the metal backing. The shortest strand measures 15 1/2″ long and the longest one is 18″ long. 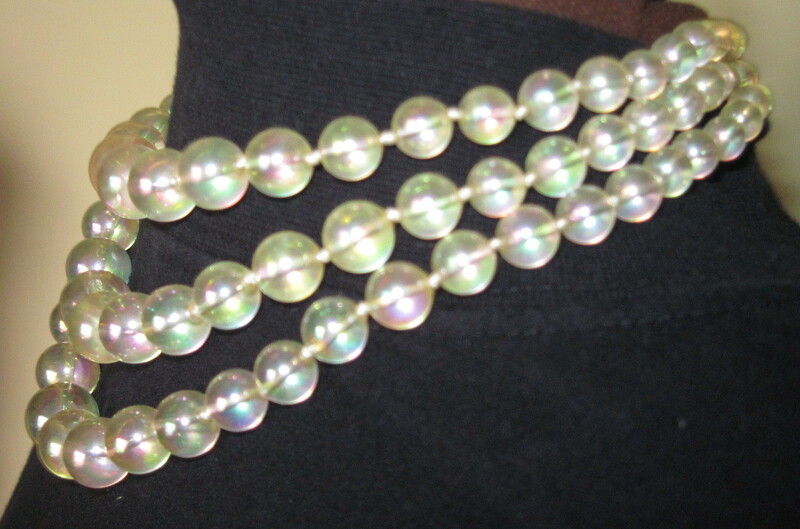 The beads have shades of pink, green and lavender and look iridescent. The back of the clasp has some tarnishing of the metal. 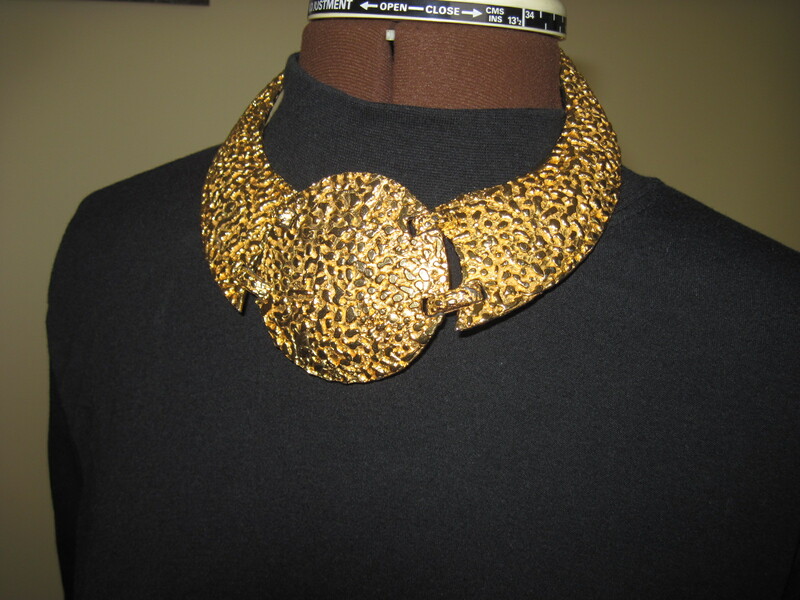 This necklace is for sale for $20.00 Canadian. Robert Larin was a well known Canadian designer based in Montreal. 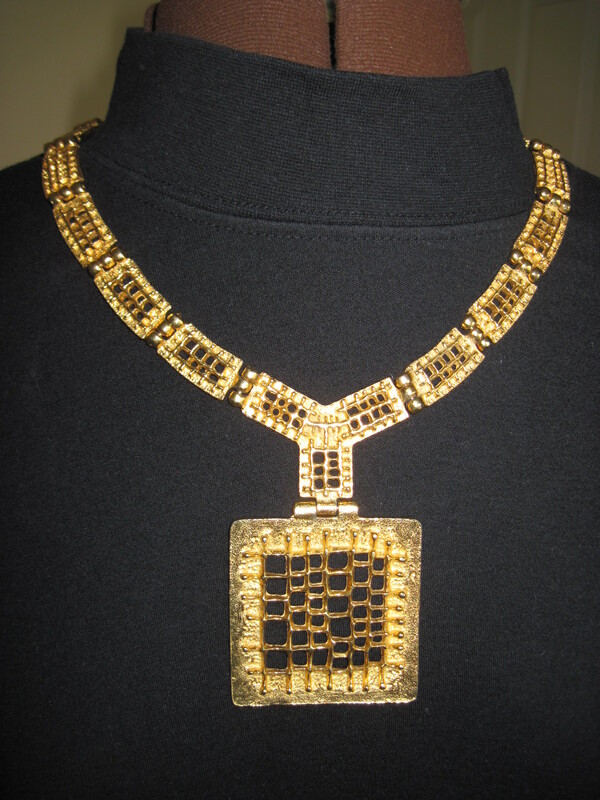 He made beautiful, heavily sculpted, modernist jewelry between 1968 and 1972. His pieces are quite sought after. This beauty weighs approx. 150 grams. 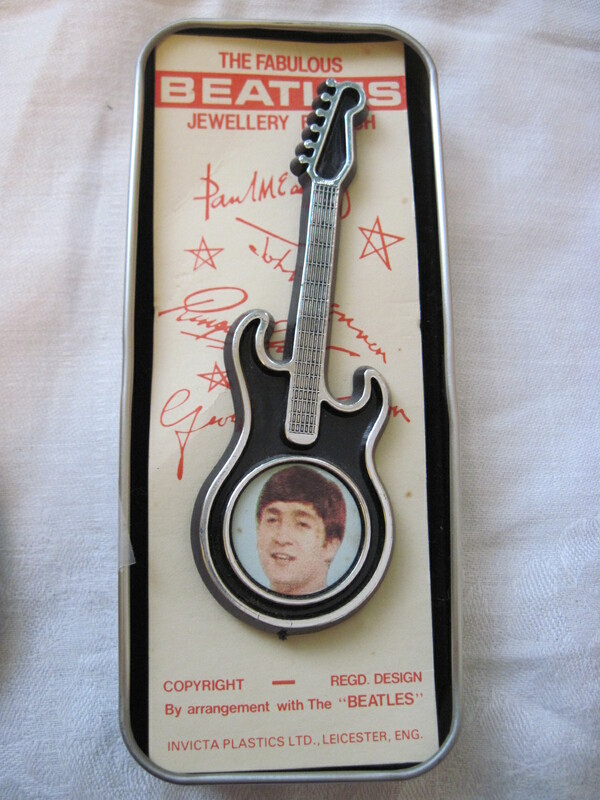 It SOLD on ebay for $318.00 US last month. I was ecstatic at the time of course but now I miss owning it. Apparently these heavier large pieces did not sell well at the time and were mostly for show in the stores. I will probably never own another one like it, but it sold to someone in Montreal who I am sure will really appreciate the history of the piece. 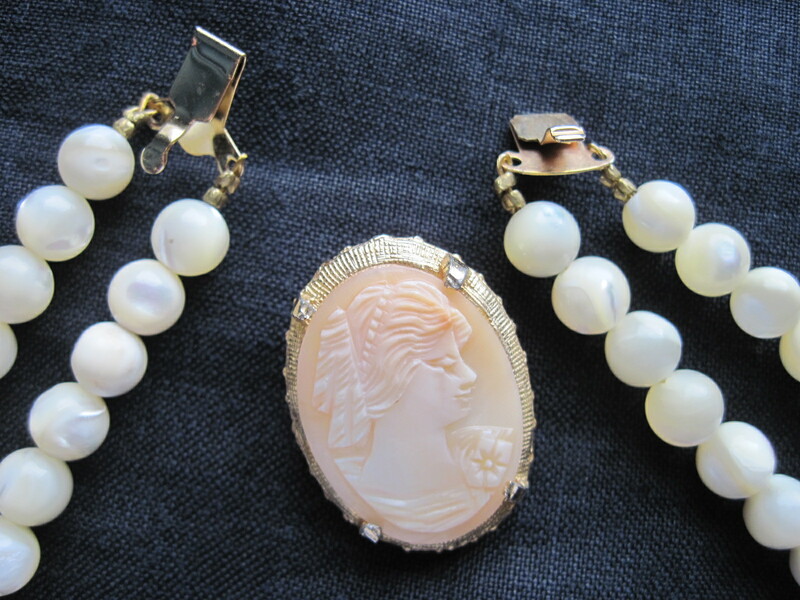 Couldn’t believe my luck when I spotted this lot of Sherman Jewelry for a decent price at a recent sale. My photo does not do these pieces justice. The sparkle on these beauties is amazing! 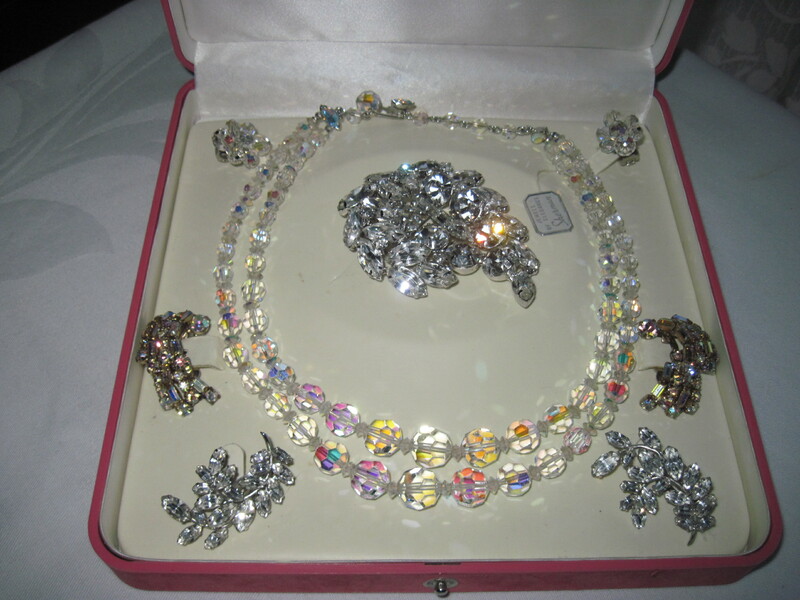 Sherman was a Canadian designer of high end costume jewelry and all his pieces were made with the highest quality crystals and rhinestones, and most have rhodium plating on the backs. The rhodium never tarnishes and they look as fabulous as the day they were made. These are probably ca 1950’s or 60’s.